Vitamin E is an essential fat soluble vitamin that cannot be manufactured by the body. 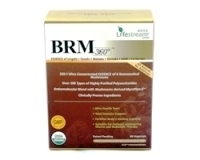 It must be obtained from the diet or through supplementation. Dietary sources of vitamin E are vegetable oils, wheat germ, whole grain products, seeds and nuts. Freezing and deep-fat frying destroy most of the vitamin E present. 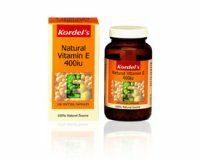 Kordel’s Natural Vitamin E contains a natural form of vitamin E, d-alpha tocopherol, which is very readily absorbed. Vitamin E is a powerful antioxidant. It helps improve vitality and reduce fatigue by increasing the oxygen-carrying capacity of haemoglobin in the red blood cells. Take 1 capsule a day, after a meal.